J Watson Scott & Co Ltd is law firm and provides legal advice and assistance to its clients. It is regulated by the Law Society of Scotland. The personal data that J Watson Scott & Co Ltd processes to provide these services relates to its clients and other individuals as necessary, including staff and suppliers’ staff. This policy sets out J Watson Scott & Co Ltd’s commitment to ensuring that any personal data, including special category personal data, which J Watson Scott & Co Ltd processes, is carried out in compliance with data protection law. J Watson Scott & Co Ltd processes personal data, including the personal data of non-EU citizens, but is committed to ensuring that all the personal data that it processes is done in accordance with data protection law. J Watson Scott & Co Ltd ensures that good data protection practice is imbedded in the culture of our staff and our organisation. This policy applies to all personal data processed by J Watson Scott & Co Ltd and is part of J Watson Scott & Co Ltd approach to compliance with data protection law. All J Watson Scott & Co Ltd staff are expected to comply with this policy. J Watson Scott & Co Ltd will facilitate any request from a data subject who wishes to exercise their rights under data protection law as appropriate, always communicating in a concise, transparent, intelligible and easily accessible form and without undue delay. J Watson Scott & Co Ltd will ensure that all staff who handle personal data on its behalf are aware of their responsibilities under this policy and other relevant data protection and information security policies, and that they are adequately trained and supervised. Breaching this policy may result in disciplinary action for misconduct, including dismissal. Obtaining (including accessing) or disclosing personal data in breach of J Watson Scott & Co Ltd ‘s data protection policies may also be a criminal offence. J Watson Scott & Co Ltd has processes in place to ensure that it can facilitate any request made by an individual to exercise their rights under data protection law. All staff have received training and are aware of the rights of data subjects. Staff can identify such a request and know who to send it to. Data portability: the right to receive a copy of personal data which has been provided by the data subject and which is processed by automated means in a format which will allow the individual to transfer the data to another data controller. This would only apply if J Watson Scott & Co Ltd was processing the data using consent or on the basis of a contract. Object to processing: the right to object to the processing of personal data relying on the legitimate interests processing condition unless J Watson Scott & Co Ltd can demonstrate compelling legitimate grounds for the processing which override the interests of the data subject or for the establishment, exercise or defence of legal claims. J Watson Scott & Co Ltd processes special category data of clients and third parties as is necessary to provide legal services for the establishment, exercise or defence of legal claims. J Watson Scott & Co Ltd processes special category data of employees as is necessary to comply with employment and social security law. This policy sets out the safeguards we believe are appropriate to ensure that we comply with the data protection principles set out above. J Watson Scott & Co Ltd also has a data retention policy which sets out how long special category data will be held onto. The partners of J Watson Scott & Co Ltd take ultimate responsibility for data protection. This information is retained for the purpose of identifying our clients and ensuring we do not act in cases where a conflict of interest could be alleged. Information may also be retained as required for financial compliance regulations. 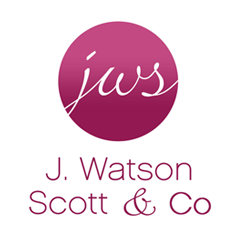 J Watson Scott & Co Ltd values the privacy of its clients and Staff. Protected information shall not be distributed to any third party without the client’s consent or unless required for regulatory purposes or by law. Any distribution of client’s protected information shall follow this procedure. All staff have been trained to implement this procedure. This office may require to distribute protected information in the course of our actings all as regulated within our data protection policy and as necessary for the representation of Clients and employment of staff. Where possible we will advise you of any information we shall be sharing in advance. Any such sharing of information shall only occur when necessary and information shared shall be limited or anonymised where possible. Should you have any concerns about this policy or require further information please contact our office. Please note that this policy is separate to our obligations of client confidentiality and obligations as an officer of the Court. Any data subject request shall be made in writing passed to the Data Processer and shall be processed by him within one month of receipt. Any request for Data Access shall require to be verified as from the person entitled to the data. All requests shall be assessed against the information held by the frim and shall be subject to assessment as to the right or ability for the requested information to be released, what basis or conditions on which it may be released and whether the requesting party has any right to the information. All data requests shall be subject to assessment to determine if the information held is done so as a data controller or as a data processor. This assessment shall be specific to each piece of data not to the file as a whole. Where we hold information as a data processor we will refer the request to the party that supplied the information. Secured by CMS. Paper files held on file and destroyed securely. Action taken / changes made as a result of the breach.